It feels to me like this month has gone by extremely quickly and that I've not got enough work done. Better time management is required I think for a much more focused October. I didn't get all the gaming done I thought I would either. I started the month with a Bioware theme but that seems to have got a bit lost over the last two weeks. Of course a big part of that was Civilization's fault but not all. Another reason was that fact I'd recorded so much footage for MOG that I filled the 1TB drive I use to store it! That's 11 hours of footage I'll need to sift though and reduce to around 10 minutes, which will be quite a task. I've got to remember to start recording only particular moments rather than just leaving it going. Lacuna Coil put on a great show last night, sound & lighting all good and the band appeared to be on top form. However I was slightly baffled by the audience response. It seemed to me that there was a complete lack of singing and dancing. There was plenty of cheering and applause after each song but it seemed the during the songs the majority of people just wanted to stand and watch. I've never seen a crowd quite like that at a metal gig. For me great music makes you want to move, anything from a tapped foot to a full on mosh and seeing a band live makes it even harder to resist. Perhaps Lacuna Coil aren't thrashy enough for a pit but you don't go from that straight to nothing! A couple of drunk guys did attempt to start a pit at one point but they just got glares from the people in front of them, all very strange. As for the singing I guess it's possible the male part of the audience don't feel right singing along to mostly female led vocals. Personally it doesn't bother me although you do end up having to switch octaves sometimes! Or it could be that they're simply captivated by Cristina Scabbia, probably the most beautiful woman in metal with an amazing voice to match. The band themselves seemed to like the response so I guess it's all normal to them and it was just the least heavy gig I've been to in a while. Still too many kids making poor quality videos on their phones which they'll probably never watch rather than just enjoying the show. I think I might be turning in to one of the weird old guys you see at gigs! Well never mind, I enjoyed it and that's all that matters in the end. I took a few photos as usual but they turned out mostly blurry, see them here. Gig time tonight, this time Lacuna Coil. They are one of those band which I enjoy but with the huge amount of bands to choose from they often get forgotten. That is except one track (Entwined) which I've been using as a drumming warm up for a long time. Although even that track was pretty much chosen by chance. I'd not even heard their latest album yet but I'm fixing that now after grabbing the MP3s from Amazon. Fairly busy day today of general work stuff. I should have got some of it done at the weekend but of course Civ 5 got in the way of all that. I've been sat here for the last thirty minutes randomly browsing the Internet thinking about what else I could post about today. I still haven't come up with anything and the web didn't offer any inspiration either. So I'll get back to work I guess and make sure all these updates are ready to go live in the morning. 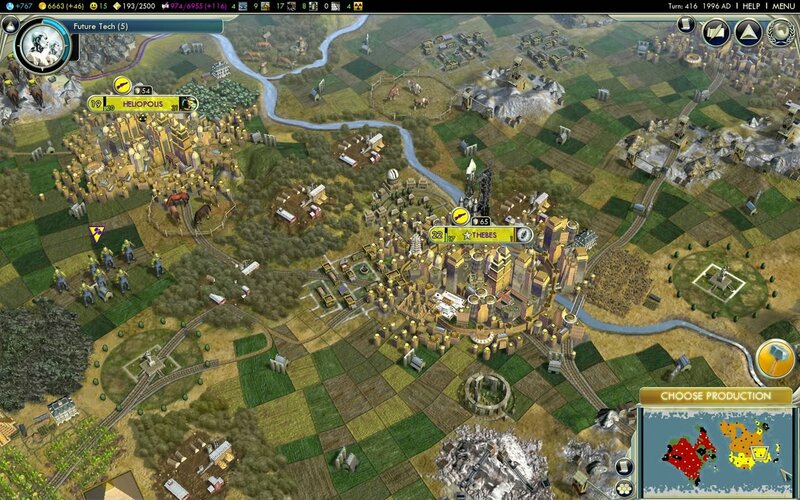 Been playing some more Civilization 5 today, this time as the Romans under Augustus Caesar. Although the opponent AI Civs are randomly selected most that I have met in this game have been the same as the first. The English went to war with the French so I destroyed the Persians and then the English too. While that was going on someone on the other side of the globe was doing the same. 'An unknown Civilization was destroyed' was a message I saw a lot. Now there's someone called Alexander taunting me, so I'm afraid he'll have to be taught a lesson. 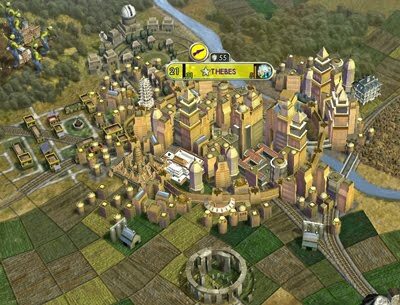 I've finished my first game of Civilization 5 and I really enjoyed it. There are many changes from the earlier installments including things like hex tiles rather than squares and no more unit stacks. Some changes took more getting used to than others but overall the changes all seem to be for the better. The whole thing seems lot more streamlined while still feeling like Civilization. Graphics and performance were both good and I had no crashes or issues. There were two and a half minor disappointments. First was the wonder building complete screen. In Civ 4 there were great mini movies of them being built here we only get a picture. 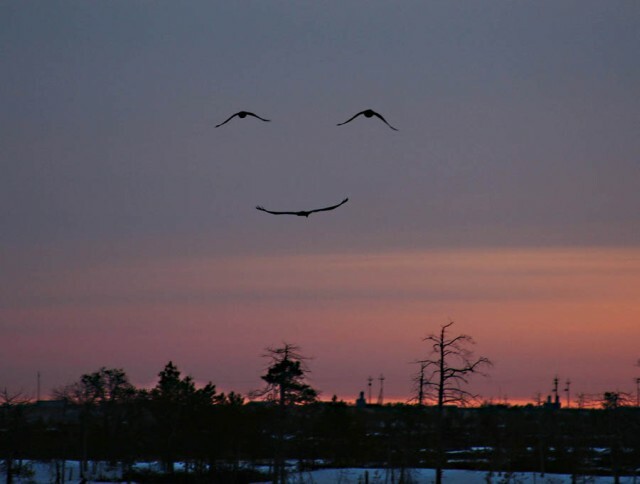 Sure it's a nice picture but it seems like a bit of a step back. The half is an extension of the same problem only this time for the ending. There was no complete movie only a picture and some text which is a shame considering the excellence of the intro. The other problem was also related to the end. 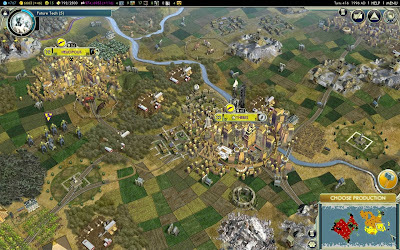 In Civ 4 after a game was complete there were a lot of stats and replay options so you could view and analyse the game but that has been completely stripped down to only a couple of basic stat screens now. I miss sitting back and watching the replay map at the end. Still it is a great installment of the Civilization franchise and should keep my busy for some time and if a patch or expansion could add the stats back in at the end at some point in the future even better! I can haz parsul plz? I did eventually get my package containing the Civilization V special edition but it wasn't simple. At first I couldn't track it, then later I could. There was confusion as to whether it was a Royal Mail or a Parcel Force delivery, so I wasn't sure who to contact. The oddest part was probably the fact that I got the fastest support response by sending a tweet to @RoyalMail. They managed to confirm that it had been a Parcel Force delivery which allowed me to find out my package had been left at a post office for collection. It was 4:50 at that point and the post office closed at 5:30 but I decided to go for it rather than waiting until tomorrow, there was just enough time. It had been sitting there since lunchtime! Play time will come later and of course a full review at a later date. In the meantime I did take some un-boxing photos. My copy of the game should be delivered tomorrow and I'm looking forward to it. It been out for a few days in the US already and has been getting some good reviews. I just hope it gets delivered to the correct building for a change so I don't have to waste time chasing the package. It seems to be happening more and more lately. I explain to one driver but by the next time it's someone new. Of course the building works and scaffolding don't help with that. I hope they put up some nice new signs when they've finished. I must remember to pick up extra snacks and caffeinated beverages as my first game with probably be quite a mammoth session, 'Just one more turn!'. Though I'd estimate there is a 50/50 chance delivery will go wrong and I have to wait until Monday. I've enjoyed this series for many years. I don't really know why documentaries about custom house builds are so facinating but they are. I think it's partly to do with Kevin McCloud's presenting style, it probably wouldn't work so well without him. It gets constantly repeated on More4 so it's always around but it feels like it's been ages since the last new episode was on. For that reason I keep forgetting the new series is on but at least now there is 4OD to catch up on. Which I'm going to do now. New TV has started and House and Castle are back, yay! In addition to that I discovered two new shows which might be interesting that I hadn't been following in advance. The first is the new version of Hawaii Five-0. I don't actually remember ever seeing an episode of the original series but I was of course aware of it. I saw that the new version was being run by writers Alex Kurtzman & Roberto Orci (of Fringe & Star Trek fame) and the actors involved included Daniel Dae Kim, Grace Park, Masi Oka & James Marsters. With that I had to give at least a few episodes a try. The first was actually pretty good and I'll be tuning in again next week. The other new show was The Event. The fact that it had 'science fiction' in the description is what first drew me to this. It's not future sci-fi it's more like X-Files or Fringe, set in the present with weird things going on. The show is obviously trying to fill the hole left by Lost by being very heavy with the mystery/confusion elements, sometimes a bit too much. There's a lot of gender/plot neutral pronouns being used, The Event, Them, The Prisoners. It doesn't always sound very natural, the characters wouldn't speak like that, except to hide things from the audience. Also they messed with the timeline a lot for seemingly no real reason. There's no end of 'three days earlier', 'four hours earlier', thirteen months earlier' back and forth while switching perspective between different characters at the same time. Again this feels more like a deliberate attempt to confuse the audience rather than a legitimate storytelling technique. I did like some the story and so I'll stick around for a few more episodes. The first episode is always a tricky one to judge but I am worried it's just going to end up disappointing like last year's FlashForward. I'll warn you in advance, rather than my usual game or TV review I'm going to get a little technical today. In my quest for a new programming project I started researching what HTML5 had to offer. With the release of IE9 right around the corner the option of HTML5 content is going to be much more available to the masses. Sure you can do some things now in IE7 & 8 but it requires plugins and such. Once IE has it's own native support it's going to start to become more popular among developers and more known by the general public. I've seen some pretty nifty things done using HTML5 and the new Canvas tag but they're still a small niche as over 50% of Internet users are still using Internet Explorer and can't run it correctly. At least IE6 is finally dieing! Now you wouldn't have to read my blog for long to realize I have a huge interest in games, both the computer and board variety. I used to program my own games but that was over ten years ago. Now it's almost impossible for one person to have all the necessary skills to create a game on their own. Programming teams have gotten bigger and bigger and there's no sign of it stopping. That's why I started working on mods and maps instead but even that is beginning to be done by teams. I could probably have a nice place on an indie dev team somewhere but as usual I have the problem of time. I wouldn't be able to guarantee my availability which wouldn't be fair. So what is the HTML5 canvas? It's a graphics display which can be embedded in web pages and controlled by scripting. This allows for dynamic graphics and animations without the need for additional plugins such as flash. It's functionally it quite basic and I guess it's been designed with things like graphs in mind. However that basic level is what has drawn me to it. You can get right down to a pixel level and program things however you desire. I'm liking it's potential so far and see some people have already done great things with it, including a version of FreeCiv! Some people will work with a framework system but I'm looking to write my own framework (which I might release separately). I've uploaded a few of my first tests for you to look at. You'll need the latest FireFox, Chrome or Safari (or IE9 Beta) to run them. All are pretty basic but are designed to give an idea of capabilities and performance. A variation on the first example except the colours only change at one point and then that point random moves up, down, left or right. Some bouncing boxes. I added form to this one so you can update the number of boxes on screen. What's interesting here is my main work PC (P4 3GHz, 2GB RAM, WinXP) starts to struggle to keep up at around 50 boxes. Whereas my gaming rig (Core2Quad 2.8GHz, 4GB RAM, Win7) can run around 800 smoothly (Both tests in FireFox 3.6.10). Finally a scrolling parallax starfield also with editable options. One day I might have a space battle in front of this. The ideas are starting to come now. I'm sure I'll post on this subject again in the future. The next tests will be about direct mouse and keyboard interaction. I'm going to waste my 200th post on a short one. I'm out of time for today and still a little low on motivation. Fresh start tomorrow. Or the lack thereof at the moment. I do have a couple of things I've been thinking of writing about but I just don't have the motivation to do them justice today. All my programming projects became 'work' long ago and it doesn't get me excited like it once did. I need a new project, there's only so many web shops you can churn out before going crazy. Of course that would require an idea! Yeah it's old but I've got nothing else interesting to post today. Despite the disappointment of Witch Hunt I still enjoy the all other Dragon Age stories so far. Although technically I've yet to play Darkspawn Chronicles or Golems of Amgarrak, but the rest is good. I've just completed another play through of the main Origins storyline. This is only the third time I taken a character all the way to the end but I suspect it won't be the last. This time I was playing with a Dalish Elf Archer. Normally in role playing games I prefer the warrior type class, Knights, Paladins, Barbarians, that sort of thing. I usually don't enjoy playing ranged classes (Archers, Mages etc) as much as my basic instinct is to charge in. However in the Dragon Age system that's not been the case. During my first play though (as a warrior) there were a couple of times where most of my party had died and only Morrigan was left alive, I realized then that the Mage was actually quite fun to play. They've got the game mechanics just right to make it simple to control. The same is true of the archer as I guess they're similar just flinging arrows instead of fireballs. As I mentioned there's still two DLC stories I have to play and also I've got two other characters I've started but not finished. However I think I'll play some more Jade Empire next to mix things up a bit. I don't know what to post today. I think I shall play some Mass Effect instead. See you tomorrow. I preordered the new Kindle about a month ago. It finally arrived today. It looks and works great from what I've seen so far. I love the fact you can hold it in one hand and still turn the pages leaving your other hand free for sandwiches or coffee! It will definitely save on shelf space. For my first purchases I got Peter F. Hamilton's Void Trilogy. The third part of that has only just come out in hardback. I would have waited for the paperback version without the Kindle. There's still a couple of weeks before the majority of new the new seasons begin and I still don't know exactly what I'll be watching other than SGU and House. Two things that have had a early season and just finished though are Futurama and True Blood. Admittedly to very different style programmes but both I enjoy. I was just watching the finale of True Blood. It was a good episode but not as much as last year. Now that there's no Lost I think it's House I'm looking forward to the most. Now though it's time for a bit of UK TV and the latest episode of Dragons' Den. Blaze Bayley were great last night! I was surprised that they were on the small stage. I guess there are not enough fans in Sheffield, but it made for a nice personal gig. I'm off out this evening to see Blaze Bayley and his latest band live in concert. I've never seen him as BLAZE or Blaze Bayley before but I have seen him on stage twice when he was lead singer in Iron Maiden. Should be good. I should have played Witch Hunt before Lair of the Shadow Broker. 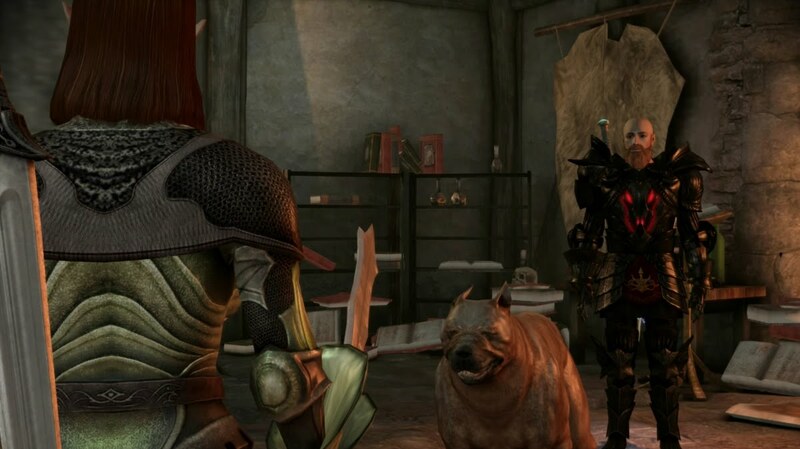 After the great Mass Effect 2 add on the Dragon Age one was a bit of a disappointment. I know that the Mass Effect & Dragon Age teams are separate entities, working in different towns I believe, but as they both come under the Bioware name and as they were both released on the same day it's hard to not compare them. The opening of the story is nowhere near as exciting as Lair of the Shadow Broker. Here you basically have to go to the library to do some research. I expected to be travelling all across Ferelden in search of Morrigan, but ended up looking in books for information about a magic mirror. At which point you have to go and pick up a couple of artifacts that lead you to the mirror where Morrigan appears to have been waiting for you. It's not really much of a hunt! On top of the most of the locations and creatures were recycled. Other than the story itself there was actually very little new content here. It was all about revisiting places you'd been before a year later but non of them were really iconic. 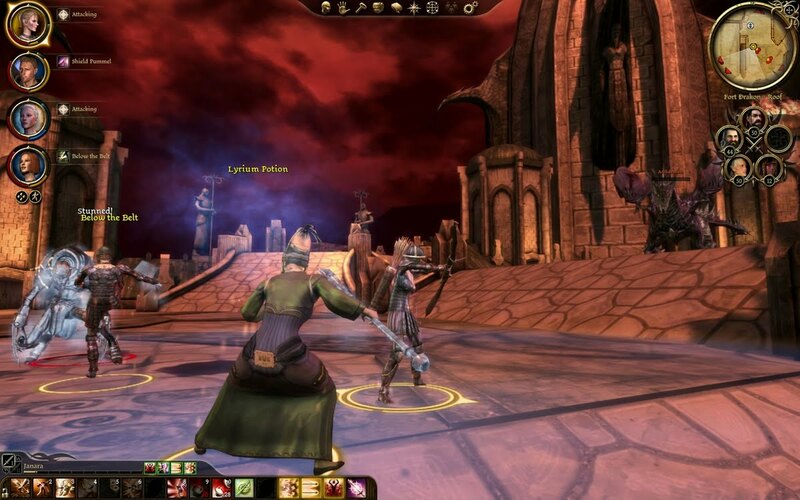 "I've been to the Dragonbone Wastes before, I didn't see a mirror"
No really!? You couldn't have put the climax somewhere new? The one thing that was good were the new companions who join you on your travels. They were well written & voiced and I got to like them pretty quickly, which is important in a short DLC quest. Unlike when Tug died in Leliana's Song, I didn't care enough yet to be all that bothered. No-one died in this one but I would have been more upset if they had done this time I think. There were also lots of nice little nods to previous events and characters but on its own that wasn't enough. The biggest problem was with the ending. 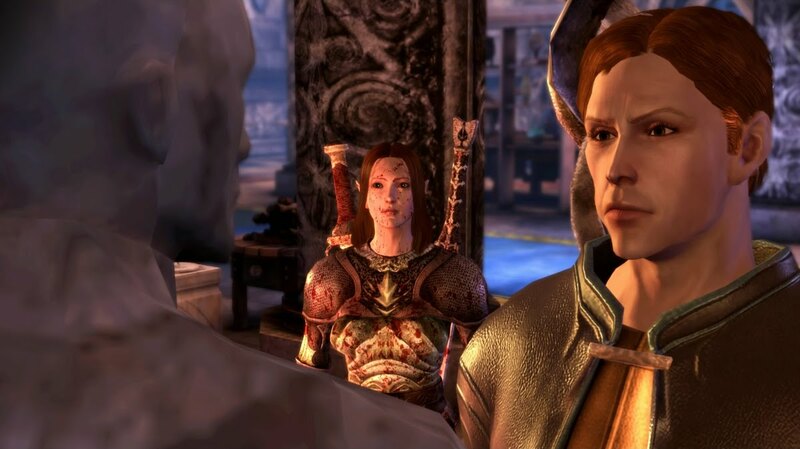 We were promised a conclusion to the Warden's storyline as this will be the last DLC for Dragon Age: Origins. However for me this seemed to raise more questions than it answered and it ended rather abruptly with the credits popping up at a point when I still thought there was more to come. I know in my mind how my warden's story ends, but it's seems odd that the official end was basically a cliffhanger when we already know that Dragon Age 2 will have a brand new protagonist. There has been quite a few reports of bugs, especially if you'd romanced Morrigan in the base game. I didn't experience anything odd myself but the Warden I was playing hadn't done the romance plot with Morrigan, although he did undergo the dark ritual. It's a real shame, as the base game was so good, that they've not been able to keep that level up with the expansions and DLC. I was glad to see Morrigan my dog again, however briefly and I probably would have enjoyed it more had I not known it was the last one or Lair of the Shadow Broker hadn't been so good. Bioware should never have released these together. 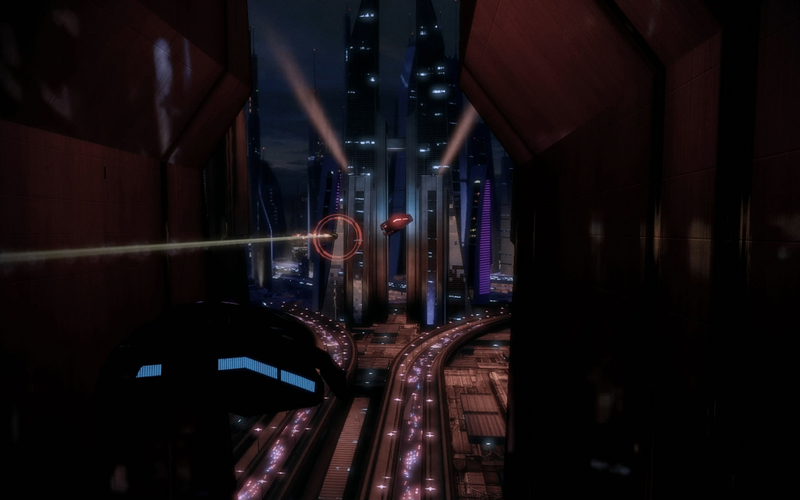 If there had to be just one word to describe the latest Mass Effect 2 DLC the one I would choose would have to be: Awesome! If you own Mass Effect 2 and have not played it yet you should go do so rather than reading this. I'm not going to say who the Shadow Broker is but there will be other minor spoilers. It's only 2-3 hours worth of game play but it should not be missed. The story starts fairly simply with The Illusive Man sending you an email with some information of interest to Liara. 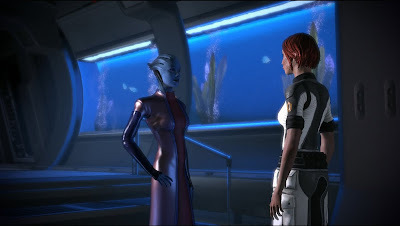 You take it to Liara and she asks you to meet at her apartment and that's where things begin, once you get there she's gone and the police are there. My first thought at this point was not actually worry for Liara but surprise that she had such a nice apartment! She's done well for herself during the two years Shepard was 'dead'. You meet another Spectre and find a lead, the adventure then takes off from there. The environments are all simply stunning, both on Illium and the Shadow Broker's world. The Azure Hotel looked suitably luxurious and we learnt a new Asari word! The car chase through the streets of Illium was brilliant and unexpected. I thought it was going to just be a cutscene but then the loading tip was explaining how to control the car, my reaction: Woah cool! It was fairly simply, akin to a mini game really but it was loads of fun. The visual highlight had to be the Shadow Broker's ship. Fighting your way in on the hull surrounded by a lightning storm following the sunset around the planet, a brilliant image. As I already said, I won't spoil the Shadow Broker's identity, but I will say it was not what I expected at all. Even after the main story is over there is more to explore. Of course the main part of that is the chance to finally rekindle the romance from ME1 and for those Shepards that didn't explore that particular option there is a mass of intel and information as the Shadow Broker ship becomes a new hub. Reading some of your companions private emails is particularly fascinating, especially Miranda's. 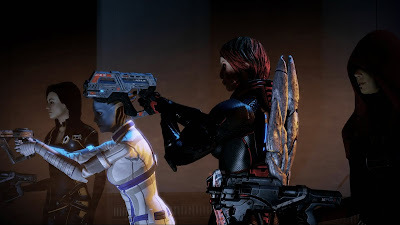 The dialogue between Shepard and Liara throughout the story was great and laugh out loud funny at more than one point. In some of the early blurb Bioware have said that ME3 will be darker yet funnier. 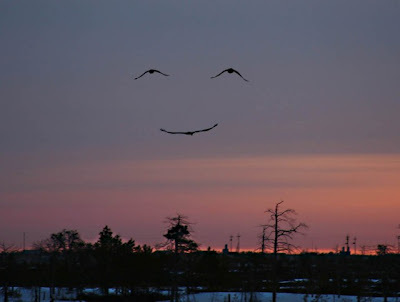 If this is a sign of things to come then it's a very good sign indeed. I guess there will still be at least a couple more DLC stories before Mass Effect 3 is released. I need more! I know some people think that DLC is a money grubbing tactic and that these things should have been included with the main game in the first place or made larger and released as a full expansion pack. I disagree with that. These things take time to create and with the huge budgets the big games have nowadays you have to release them at the right time to make a profit. I was happy with the main game on it's own and I believe I got value for my money (more for the special edition!). I was happy to pay £4 for another 2-3 hours worth of game, I've paid far more for shorter and less entertaining things and I am therefore happy to help fund the next one! Lair of the Shadow Broker has been getting some good reviews online. I've not read any yet, just seen scores (such as 9.5), as I must avoid spoilers! I'm going to go and start it myself now. More info tomorrow. While I wait for Lair of the Shadow Broker and Witch Hunt to download I've been thinking if there are any other Bioware games that need my attention this month. I completed Knights of the Old Republic again only a couple of months ago so I don't need to play that another time yet. Neverwinter Nights (and it's expansions) I've played to death over the years so again I'm not feeling the urge to play those again yet. The Baldur's Gate series I've only ever played the once so they are a possibility but they're getting a bit on the old side now. Even though they are classics the user interface feels a bit dated to me now and that takes some of the enjoyment out of it. That just leaves Jade Empire in which I do have a game in progress, but I was already planning to get back to that soon anyway. In order to add a little more variety to my Bioware month I decided it was time to start a new character in Mass Effect 1. There is one major thing I've never done before now and that is to play with a male Shepard. I've not played a lot yet and I'm sure I'll get used to it but it's a bit weird hearing Mark Meer as the voice of Shepard when I'm so used to it being Jennifer Hale from the other times I've played. It's just the same as watching video clips of the game featuring Shepards with different appearances to your own, they always feel strange. I always find the blond ones particularly odd personally. I wonder how many people out there use the default appearance other than the people at EA who make the official screen shots. I'd bet it's fairly small percentage. I'll not get time to play much with everything else going on this month but it's an interesting experiment. This is a late post. Edit To Add: I had meant to post something earlier before I had visitors round but ran out of time. I'll post something more substantial tomorrow. One of the DLC stories for Dragon Age, Leliana's Song puts you in direct control of the character rather than having her as a companion and tells the tale of part of her back story. I decided that for my Bioware month I should start by playing some of the things I'd not got around to yet before the new downloads are released on the 7th. I've been playing Leliana's Song for the last couple of days and finished it this afternoon. I was a little surprised by quite how short it was, but for 560 Bioware points (which works out at £4.33) it's still good value and I'm not complaining. On my very first playthrough of the main Origins story I completely neglected Leliana as a companion. It's pretty much impossible to deal with everyone in one playthrough and on the first time through I always find myself loyal to the people I meet first, Alistair, Morrigan & the dog in that case. On the second playthrough though she become much more important. 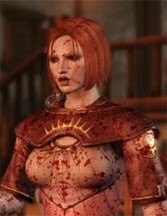 While exploring what options I'd missed the first time around I discovered that of the romance options in the game Leliana was the one willing to engage in a lesbian relationship, she was a perfect match for the Mage I was playing at the time. As Leliana is a bard the narrative of Leliana's Song is played out like she's telling you the tale after the fact and because of that the game play jumps through in 'scenes' rather than the usual open world. It gives a different feel which is good and makes it more than 'just another quest'. I'm not sure I'd want to play a full game like that (too linear) but it works well here. Overall I'd recommend it if you're looking for a few more hours of Dragon Age entertainment. Next up, The Darkspawn Chronicles. 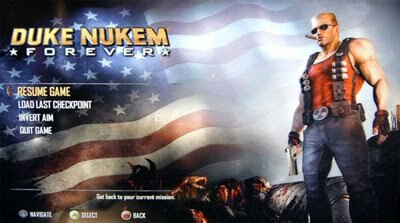 Announced today at PAX, Gearbox Software are officially working on finishing Duke Nukem Forever and plan to released it next year (on PC, XBox & PS3). This was rumoured a few weeks ago but I have to say I'd pretty much dismissed it. After 3D Realms went under I never expected to hear that much from Duke ever again. However now it looks like it might actually get finished, there's even a playable demo at PAX! This is all very odd news to hear, I'm wondering if this is perhaps some weird alternate universe. Of course in all seriousness I'm don't think I'll really believe it until I have a disk in my hand, there's still plenty of time between now and 2011 for more delays to occur. With Steam and digital distribution of games getting better and better it means that the only physical versions of games I'm buying nowadays are the fancy special editions. I've mentioned the nice looking special editions for Fallout: New Vegas and Civilization V before when they were announced for the US market. Now finally they are available for pre-order in the UK. The links above will take you to GAME where I still buy most of my games (on disk) due to their reward card scheme. Of course I have now my copies on order, I'd kind of forgotten quite how close the release of Civilization V was, I'm going to be very busy with that and the Bioware DLC's this month.